Jennifer Leep is Executive Vice President, Trade Publishing, at Baker Publishing Group. 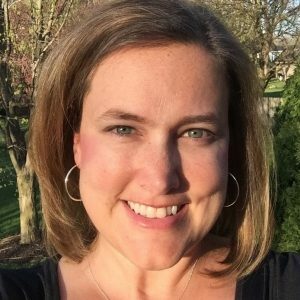 Jennifer began her career at Baker Publishing Group in 1996 as an editorial assistant and worked in the roles of project editor and acquisitions editor before serving as Editorial Director for Revell from 2008 through 2015. Today she serves on the executive management team for Baker Publishing Group and leads the editorial teams for the company’s Baker Books and Revell divisions. What Jennifer loves most about publishing is the fact that every day she’s part of bringing life-changing messages into the lives of expectant readers. She’s passionate about leading the trade publishing team and helping writers shape and develop their manuscripts. When she’s not busy acquiring or editing books, she enjoys traveling, spending time with family and friends, and being part of the worship team at her church.